Virender Goswami earned his bachelor’s degree in economics with honors from Delhi University in India in 1978 and his LLB from Delhi University, where he graduated in the top three per cent of his class. In 1981 he became a member of the Bar Council of Delhi. He then studied law at the University of San Diego in California and received his master’s degree in comparative law in 1988. 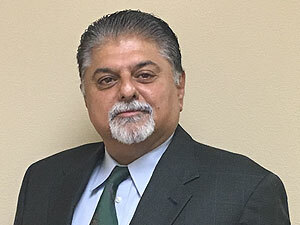 Mr. Goswami has been a member of the State Bar of California since 1987, The American Bar Association since 1987 and the American Immigration Lawyers Association (AILA) since 1992. He has acted as AILA’s Northern California chapter liaison with the District Counsel of the United States Immigration and Customs Enforcement agency (ICE). Mr. Goswami has established an excellent working relationship with U.S. Citizenship and Immigration Services (USCIS) officials at San Francisco Bay area USCIS offices and at USCIS Service Centers that process immigration applications. He has obtained visas for researchers, scientists, business people, investors and professionals. Mr. Goswami has vigorously and successfully represented clients at all stages of removal and deportation proceedings, including the Board of Immigration Appeals, Federal District Courts and the U.S. Court of Appeals. He has lectured internationally and has written numerous newspaper articles about immigration law. He has also appeared on television and radio as an expert commentator on immigration issues.